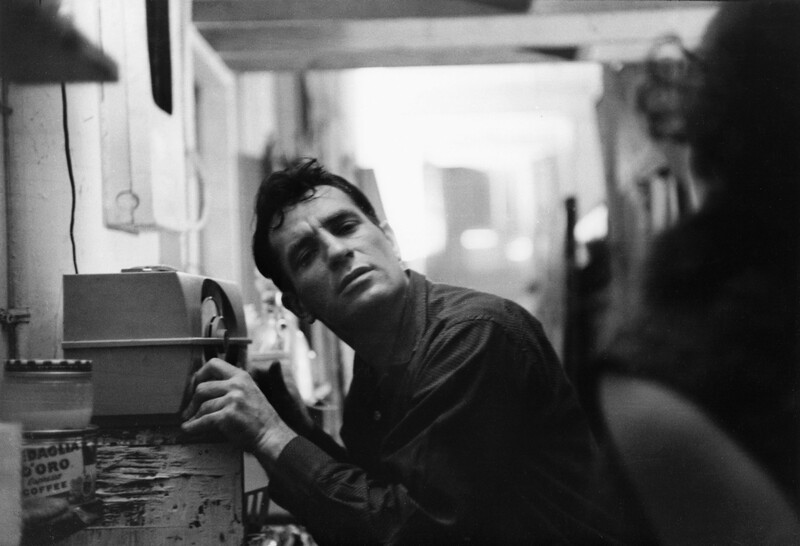 Mad mad man, Jack Kerouac; full admiration for you. Somehow, I’m trying to give back what you gave me – a dense dialogue between man and woman (coming online soon). In meanwhile I would like to offer you a sweet potato dessert. To pause. I hope you’re a sweet-tooth, too. We could enjoy it together, with a glass of smokey whiskey or a cup of nutty coffee. Because coffee and whiskey make me a little mad as well, and I wish to find you. Somewhere up high, beating beats on top of the chocolate rocks. And once we would finish the creamy dessert, I would cry cacao tears and ask you wether the world is so banal or wether I’m not mad enough. Cook the sweet potato, fresh ginger and fresh curcuma all together in boiling water until the potato is tender. Drain the potatoes and blend with the rest of the ingredients until it becomes a smooth creamy paste. Divide the mass between two glasses and let it cool down in the fridge.